Jeppesen has customers in every country, except those under sanction or embargo, and receives aeronautical and maritime source data from sovereign authorities in every country in the world. 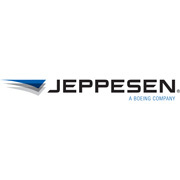 Jeppesen, a unit of Boeing Flight Services, recently received an Export Achievement Certificate from the United States Department of Commerce, U.S. Commercial Service for significant accomplishments in the global marketplace. The certificate was presented in person by Congressman Mike Coffman, who represents Colorado’s sixth congressional district, in which Jeppesen is located. Jeppesen has customers in every country, except those under sanction or embargo, and receives aeronautical and maritime source data from sovereign authorities in every country in the world. This data provides the foundation for the intelligent information solutions produced by Jeppesen to simplify and make efficient navigation and operations in today’s complex airspace and on the waterways. Headquartered in the Denver area since 1941, Jeppesen has long contributed to the regional economy through the export of information used by aircraft and vessel operators to navigate and operate safely and efficiently. Jeppesen opened a satellite office in Frankfurt, Germany in 1957 to support a contract with the United States Army and today operates from 35 offices in 18 countries. “Jeppesen’s impressive international footprint, track record for export sales and active participation in the local international business community make it an ideal candidate for the Export Achievement Certificate,” said Paul Bergman, director, U.S. Commercial Service, Denver. “We are proud of our international presence and track record as an exporter, especially within the aerospace sector,” said Greg Bowlin, Jeppesen senior vice-president and chief strategy officer. “Aerospace is an important export industry, as it continues to have the largest trade surplus of all manufacturing industries.” In addition to being a Jeppesen executive, Bowlin is a member of the board of directors of the World Trade Center Denver and is a member of the board of the U.S. Department of Commerce’s Rocky Mountain District Export Council. Note to editors: High resolution photos of the certificate presentation are available upon request.